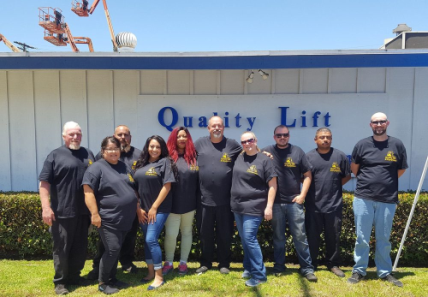 Quality Lift & Equipment is a family owned and operated business based	in Southern California. We pride ourselves with being customer centric	and continue this tradition with all aspects of our business. Our beginnings	are humble; from a one man – one van business to an Equipment Dealer with	several technicians. We are here to service your equipment needs, offering	long term and short term rentals, as well as offering a wide selection	of parts. We pride ourselves in always being available, even if the office	is closed our phones have never been. Call us 24/7 and well will be there. We look forward to helping you!